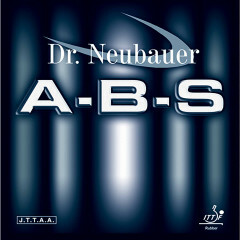 A-B-S is distinctively slower than our current Anti-Spin rubbers Gorilla and Grizzly and offers a much better control. On top of that A-B-S produces a very good spin reversal for a highly effective blocking game close to the table. At the same time A-B-S provides good attacking possibilities through aggressive pushing and lifting, especially on chopped balls. A-B-S and ANTI SPECIAL come with a new rubber mixture for the topsheet and a new type of sponge. Thus the rubbers come very close to our old frictionless long pimples. A-B-S is ITTF-homologated since end of 2008 and is available as from now with the following sponge thickness: 1.2mm1.5mm1.8mmThe 1.2mm version is the slowest and hence the most effective for short blocking close to the table. The version with 1.5mm sponge is slightly faster and thus a bit more effective for attacking. The 1.8mm version enables both good blocking and most of all attacking. 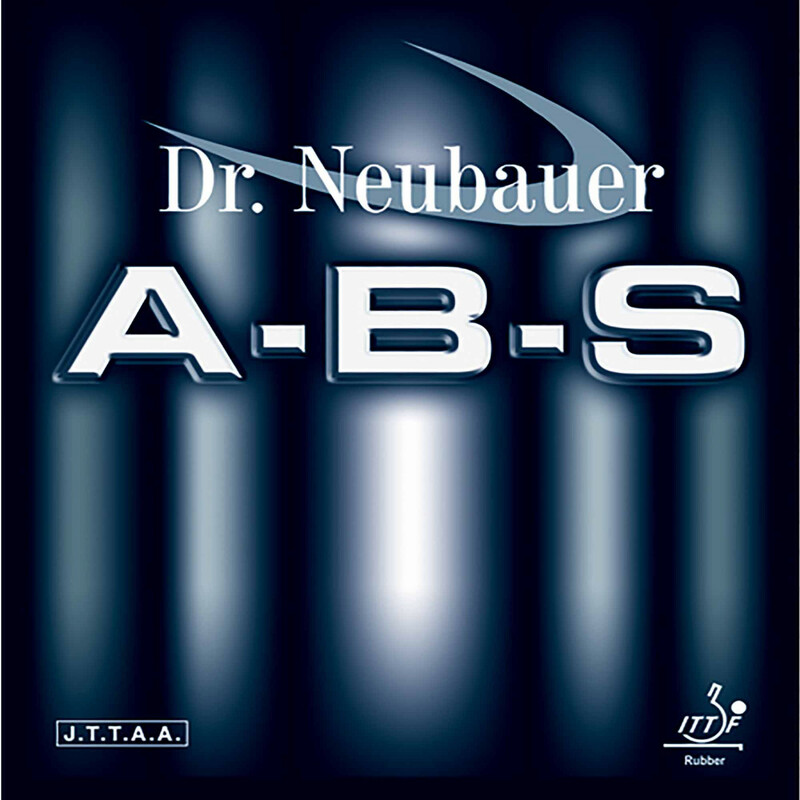 Dr. Neubauer Rubber A-B-S is beeing added to cart.